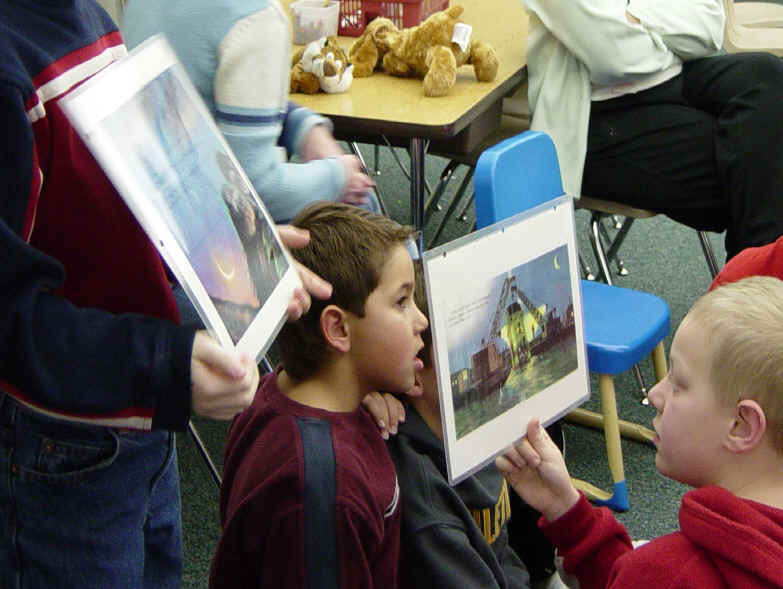 Compare your observations with comments about shortcomings and errors in the illustrations. 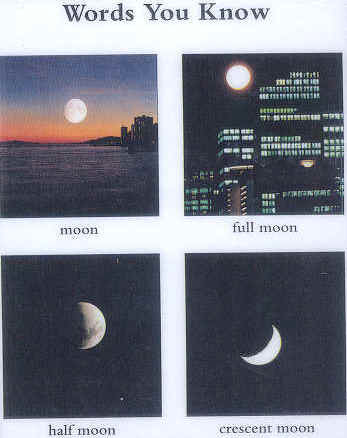 With younger learners for whom this is too advanced, use the images to begin or to support dialog about the moon. Assume these scenes occur in northern mid-latitudes. See More Faux Phases I and More Faux Phases II for additional book excerpts. 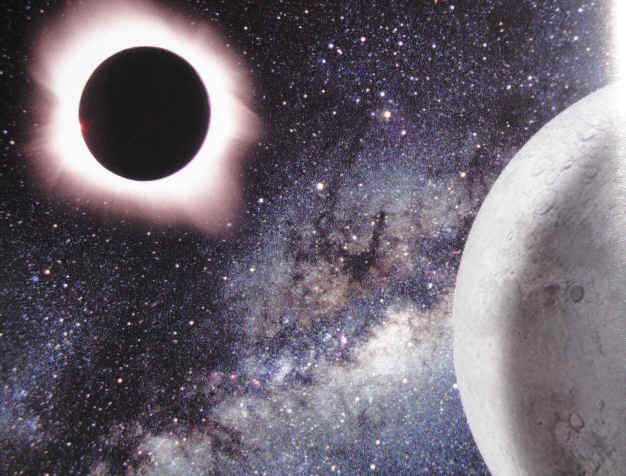 Meanwhile, illustrator Clement Hurd keeps a keen eye toward astronomy and depicts the moons accurately in the classic children's book Goodnight Moon by Margaret Wise Brown, as shown at the Good(night) Moons Rising web page. 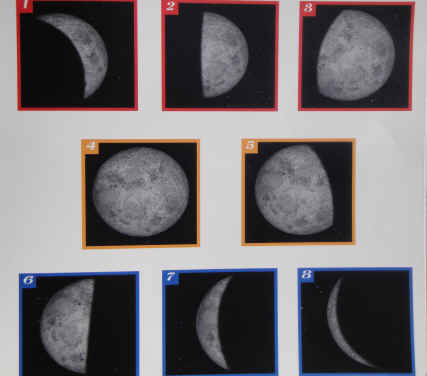 Make a Moon Finder to show the position of the moon for any given phase and time. 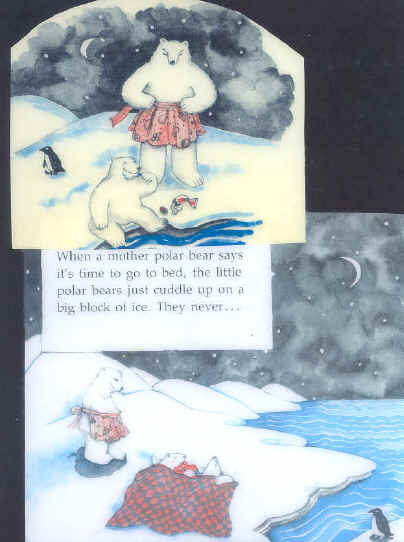 The poster text accompanying these images is reprinted from the GLPA Proceedings, 1997, p. 161. 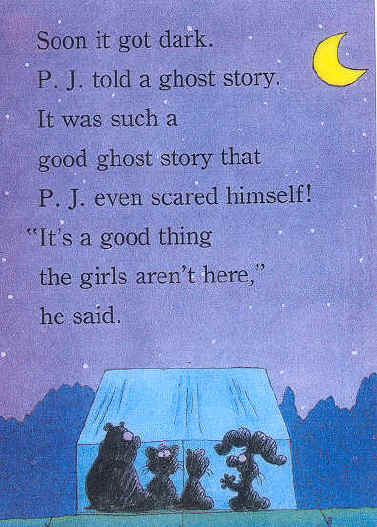 Children's Press, Inc. Different moon shapes are labeled. 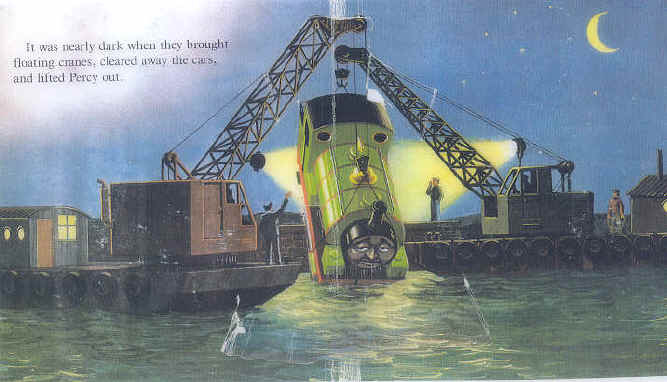 Cranes arrive to lift Percy the train out of the water when "it was nearly dark" and a crescent moon is visible. Harper & Row Shortly after "the golden sun is down," a crescent moon is visible above the buildings. 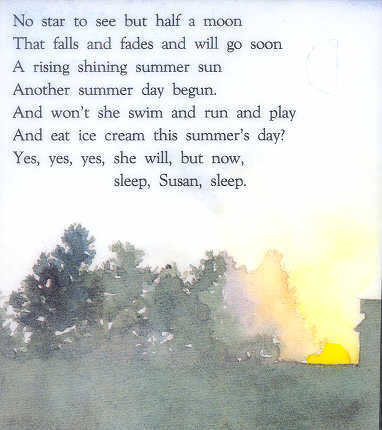 (Macmillan Publishing Co.) The morning sun is rising while, above it, "half a moon...falls and fades and will go soon." Children's Press, Inc. A diagram depicts the phases of the moon that result from the moon's "traveling in a big circle around the Earth." 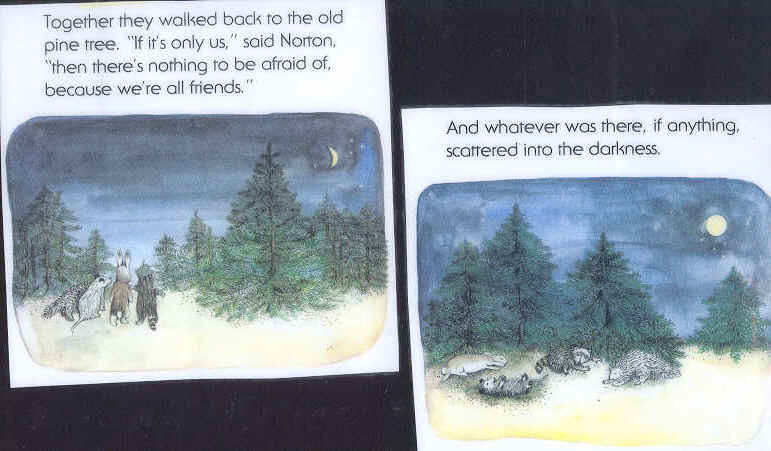 William Collins Publishers, Inc. Three animals walk through the woods at night, with the moon visible throughout the hike. Random House, Inc. The book cover shows a full moon low on the horizon while a watch indicates the time is midnight. 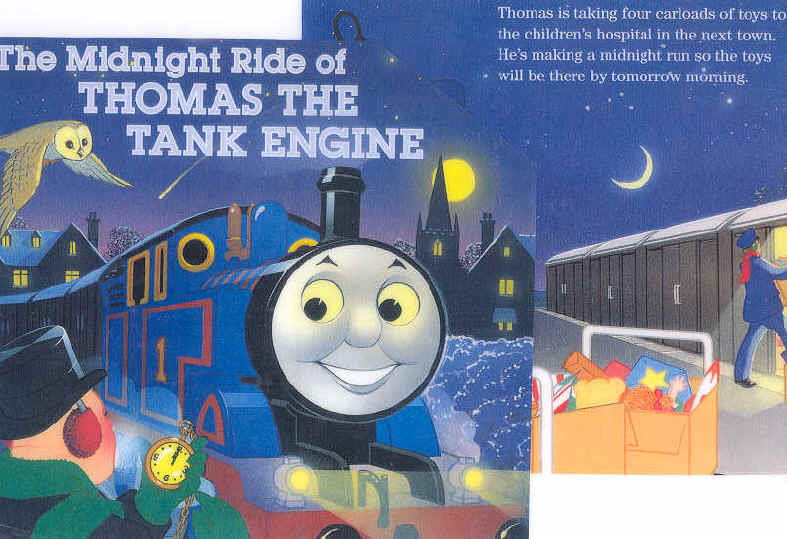 Throughout the book, the train makes a midnight run while a crescent moon is visible in the Christmas-time sky. 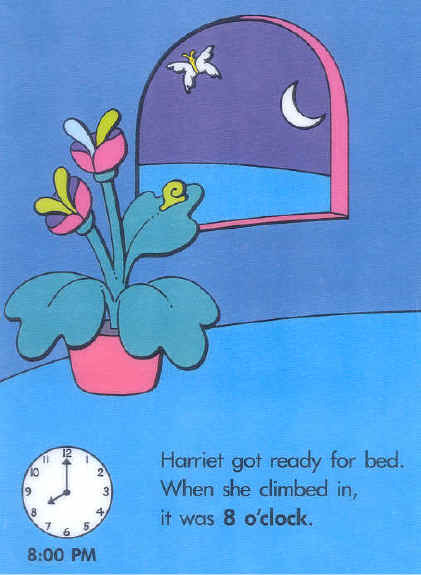 Crown Publishers, Inc. Harriet is going to bed at 8:00 p.m. with a crescent moon visible out the window. A silhouetted family views a crescent moon, presumably in the late evening. 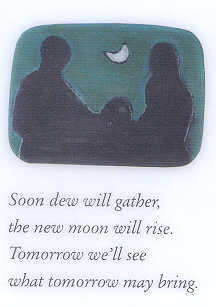 The text states, "Soon...the new moon will rise." The mother bear is shoveling snow with a crescent moon visible. 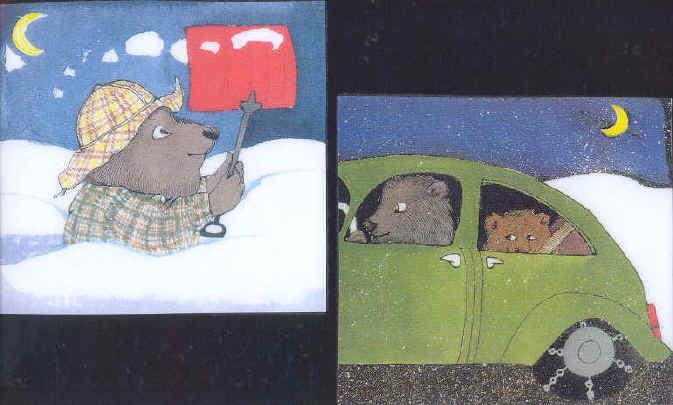 Later that night the father bear is driving behind a snowplow with a crescent moon visible. 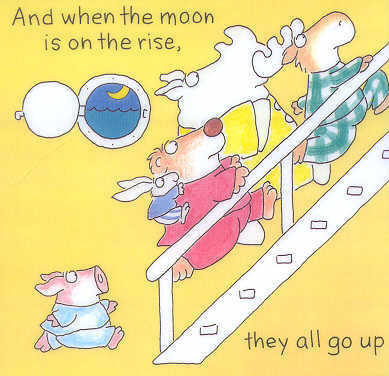 Simon & Schuster The animals on a ship are preparing to go to bed, with a crescent moon "on the rise." 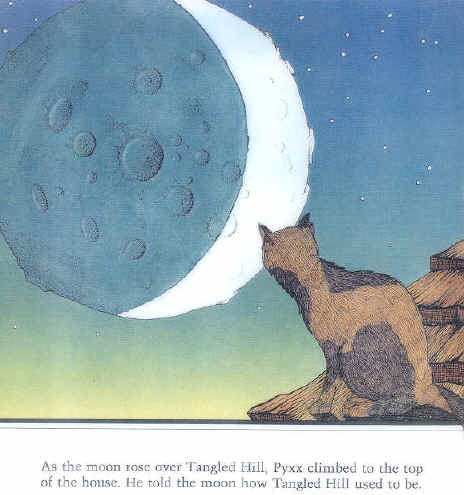 Price Stern Sloan After ushering some children to bed, a boy speaks to the moon "as the moon rose over Tangled Hill." 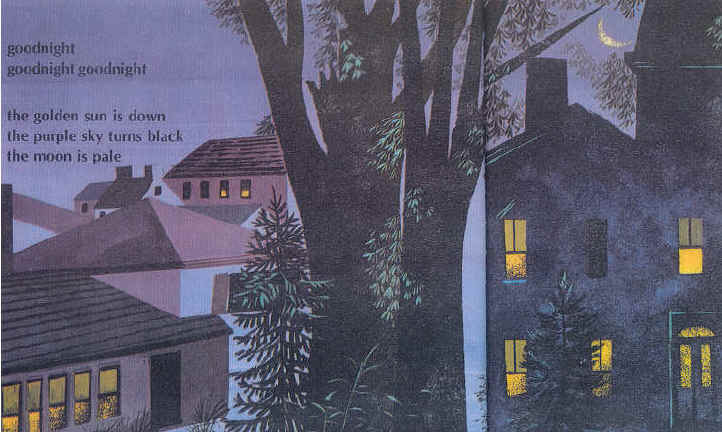 Random House, Inc. Several animals are in a tent "soon [after] it got dark" with a crescent moon seen outside. 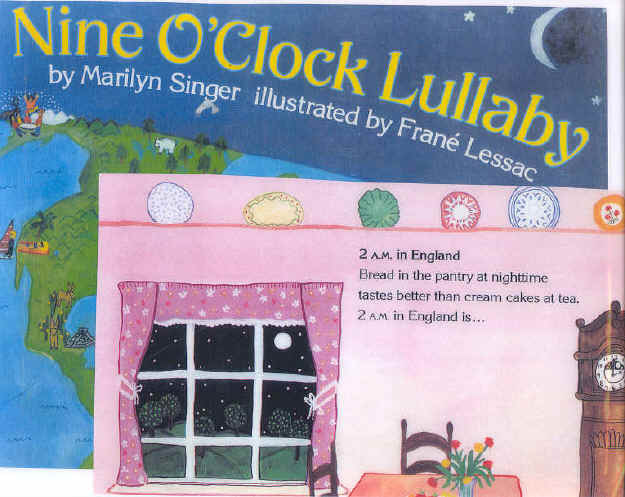 Harper Collins A scene from nine o'clock in the evening in New York is compared with concurrent scenes in other parts of the worl. The moon is visible in several scenes. Baby polar bears prepare to go to bed with a crescent moon visible. G.P. 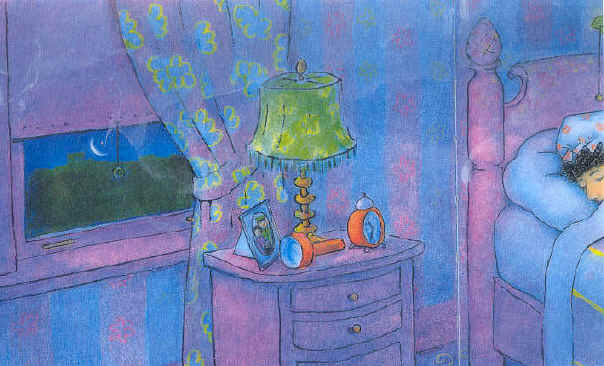 Putnam's Sons A woman goes to bed with a crescent moon visible out the window while the clock is at 10:35 p.m. 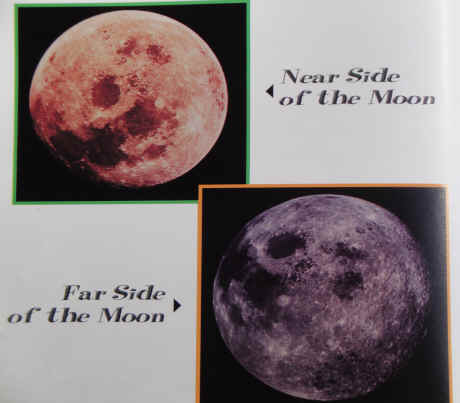 The Rosen Publishing Group, Inc. Two images are described as the near side and far side of the moon. A series of images depict the phases of the moon. 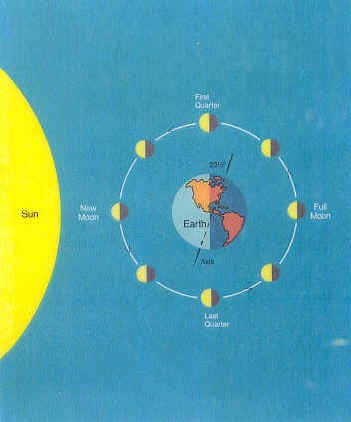 Image accompanies description of a lunar eclipse. Note: The images above are the copyrighted property of the respective creators, as cited. The images are reproduced here for educational purposes under the "Fair Use" premise of U.S. copyright law. Please send examples both of bad moons and of good moons rising, preferably with a digital image and complete information for each column in the table above. Thank you. GLPA Proceedings, 1997, p. 161.